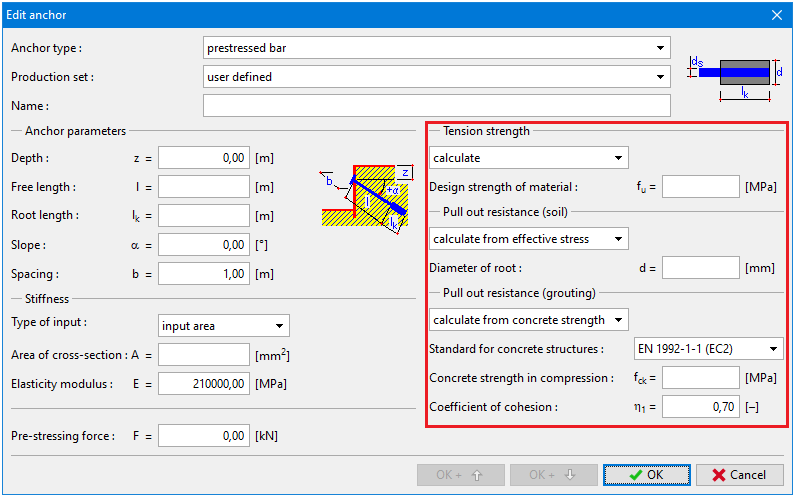 The program allows to enter prestressed and non-prestressed anchors and calculate their bearing capacity. 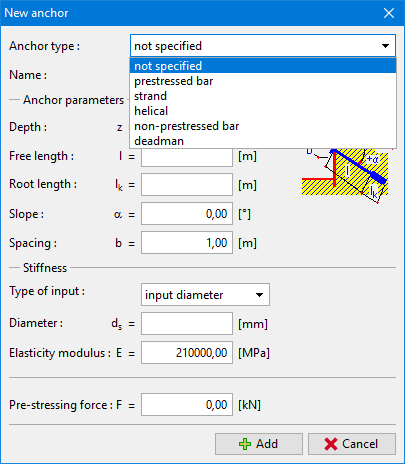 If the verification of anchor is not required, anchor type can be selected as "not specified". In this case we just enter only information necessary for analysis of whole structure (geometry, stiffness).